Three identical triplets who were separated at birth and adopted by three different families meet each other at age 19 by pure coincidence. As they look into the reason for their separation, they soon discover that there is more to the story than they could have ever imagined. Whenever adoption is involved, there's a chance that one day, you might find out you have a sibling or siblings you didn't know about. 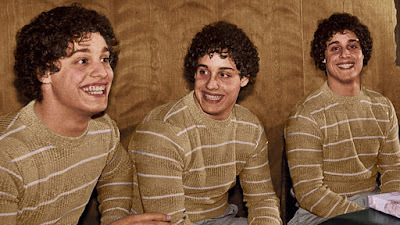 "Three Identical Strangers" is a documentary directed by Tim Wardle, who has directed other documentaries such as "Lifers: Channel 4 Cutting Edge" and "One Killer Punch." In this film, Wardle tells the story of three men named Bobby Shafran, Eddy Galland, and David Kellman. As 6-month-old babies, they were each adopted by different families and raised in the areas surrounding New York. At the age of 19, while attending community college, Bobby met Eddy, a total stranger who looked exactly like him. The two discovered they were long lost brothers separated at birth. When a few newspapers picked up their story, another family saw the photo and realized the twins looked exactly like their son David. It turns out, these three individuals were actually triplets. The story of how and why they were separated may be stranger than you could ever imagine. 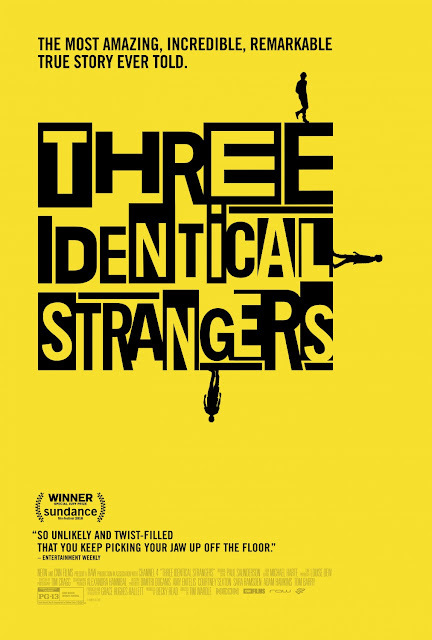 This documentary starts out with a heartwarming tale about triplets separated at birth finding each other at the tender age of 19. It covers how they hit it off instantaneously and became inseparable after that as if time had never passed. It shows how many similarities they all had despite being raised in different homes and with different backgrounds. 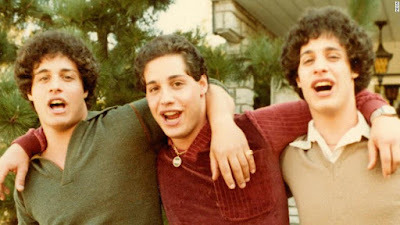 The triplets went on to reach a semi-level of celebrity in the 1970's and used it to have a lot of fun and live their early 20's to the fullest. We may have just told you about how interesting this premise is and how much we enjoyed this titillating tale, but we implore you, please do yourself a favor and DO NOT read any spoilers or information about the triplets if you want to see "Three Identical Strangers." We have tried our very best to keep things vague on purpose because this is a documentary you should fully experience as it is presented to you by filmmaker Tim Wardle. If you want to be taken on a roller coaster ride of emotions, this is the film for you.